Reviews are wonderful, reviews are trustworthy, reviews are how you find out what real people think. But is it that simple? There’s an arms race over reviews. On the one hand, sellers seek ever subtler ways to convince buyers that people think this is the greatest product since someone worked out how rubbing sticks together made fire, and buyers are trying to spot the paid-for reviews in the hope of finding a genuine one. There’s been controversy about Julie Burchill’s review in the current issue of Mslexia (Issue 61, Page 55 http://mslexia.co.uk/ ) because she criticises Belle de Jour. I don’t care whether I agree with her comments or not – I just think there’s something wrong with her being criticised for expressing herself. We have free speech in this country and anyone who wishes to disagree can publish their own contrary opinion. Now am I going to get flamed for daring to say that? I moderate this blog, mainly to filter out spam and people trying to promote themselves, but I suspect I’d delete anything nasty, too. So am I guilty of suppressing free speech on here? I don’t think so, but you’re entitled to your own view of my actions. I’ve been reviewing books for magazines and publishers for more than a decade. Most of the time, the recipient accepts whatever I’ve said about their book (or whatever), but occasionally I’ve been challenged over my opinion. One e-publisher emailed to say, “Why did you give this book four stars?” I was tempted to point out that I was being generous – I had been torn between awarding three or four stars. Presumably I was meant to give it five stars, regardless of the fact it wasn’t that good – so I haven’t reviewed any more for that publisher. I used to agree to review-swaps with other writers, but I’ve stopped doing that after it became clear that these were expected to be sycophantic rather than honest. It may be heresy, but I don’t see any point in reviews if they are always meant to be vanilla, give five-stars and only say nice things. One major retailer emails me to review everything I purchase from them online, and won’t allow me to disable this on their website (yes, I tried). I reviewed an item of furniture I bought from them, saying how good it was but also commenting on the appalling delivery service and customer support. The review never appeared and they sent me an email saying my comments had “breached the terms” of their website. I queried this and got an admission (in writing) that I hadn’t breached anything, but they were “unable” to post my opinion online. Reviews for the same product say what a wonderful delivery experience other customers had – so I presume the only thing they objected to was my being negative. Even though it was true and provable. So what is the point of posting a review where comments will be “moderated”? As a writer, I’ve been contacted by companies who claim to offer review services. I followed one advert to its website to see what they were offering. Apparently, I could choose the number of reviews, the period over which they would be posted and the “proportionality” of the reviews. The example they showed was for 100 reviews, 80% five stars, over a one-month period. And they made a big deal of the fact I didn’t even have to provide a copy of the book. I couldn’t find out any more unless I gave them my contact and payment details, so I left their website. Bearing in mind there’s been controversy about people writing bad reviews for their competition, I wonder if any of them have paid for 100 bad reviews for someone else’s book? Or twenty negative comments about a competing hotel? Meanwhile, I read reviews before purchasing something and try to guess whether they’re genuine. Like I said, it’s an arms race. Recently, I was asked for my opinion on honesty in the reviewing world for BBC Radio Wales – I think the Presenter was a little surprised how negative I was about the situation. But it’s hard to be upbeat when you’ve seen too much of the way the review system works. So – how can a potential buyer judge the reviews of an item, be it book or anything else? There’s a clue in the sales pitch from the reviews-for-cash company I mentioned above. They obviously think it’s important to give a few four- and three-star reviews and spread them over a period of time, so they’re aware that buyers look out for a mass of five-star reviews appearing all on one day. These are flags to watch out for. Beware of reviews that are largely posted over a short period, and anything with a lot of reviews with no negative comments! At the moment, I find it useful to spot reviews that all use the same phrases (I wonder if they ask for a list of stock phrases about a book?) and also reviews written by people who aren’t very fluent in English – I wonder how they could possibly read the book they’re commenting on. But my suspicion is that the next stage of the arms race will render this advice as useless as a chocolate sun lounger. Some retailers try to improve things by highlighting reviewers who’ve bought that item through the retailer, or who write “popular” reviews – but do either of these criteria mean they’re producing an honest review? Frankly, I think the best form of review is still one from someone you know and whose opinion you respect, whether that’s a mate down the pub or a newspaper columnist. Possibly not very helpful, but that’s the only way to be sure you’re not being duped by someone who’s being paid to be nice (or nasty). But don’t let this dissuade you from posting your own reviews. If you have an honest opinion, share it online – especially if it’s about a product from a small business or Indie Artist of some description. If you’ve stayed in a small B&B or read a book by a largely-unknown author, share your opinion with the world. Most retail websites won’t even insist you booked / bought it through them before you post your review. The review system may not be perfect, but it is the best we’ve got at the moment. 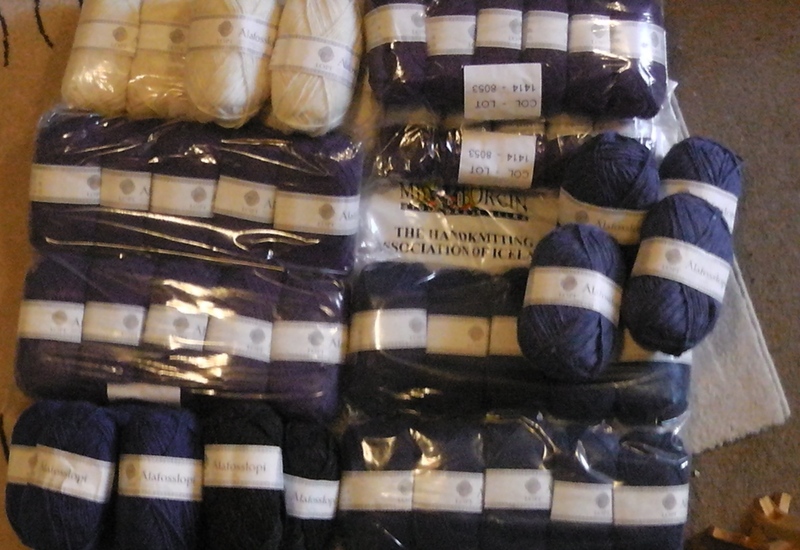 Remember all that wool I brought back from Iceland in November. (The country, not the freezer shop.) Well, here’s the first jumper. 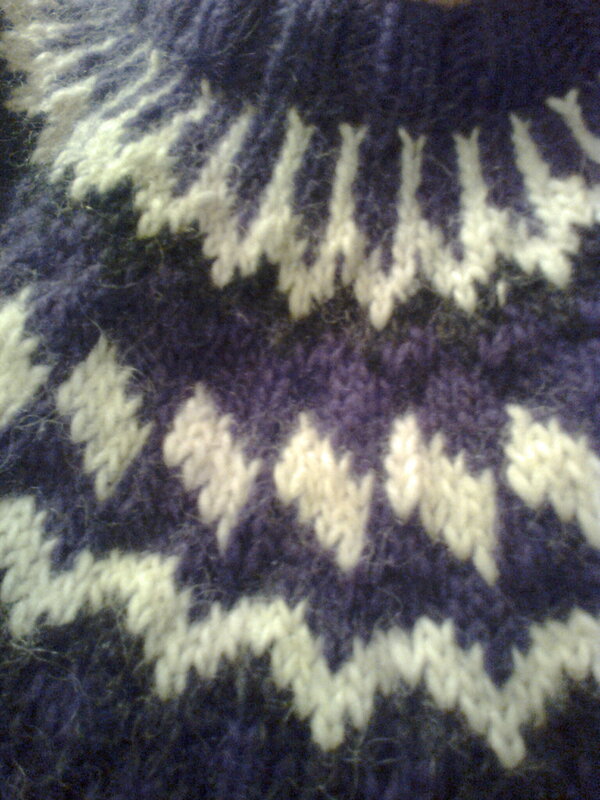 And here’s a close up of the yoke pattern. Apologies for the poor photography – I’m not very good at this selfie business. 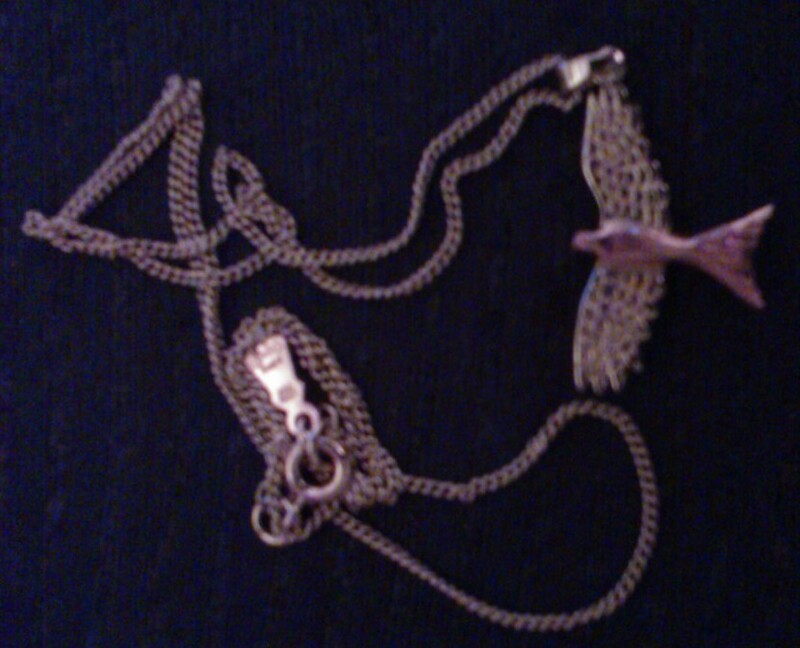 While I’m apologising, I should also say sorry for neglecting this blog. Life has been far too busy and I’m afraid blogging about it wasn’t a priority. I’ll try and post more regularly this year. 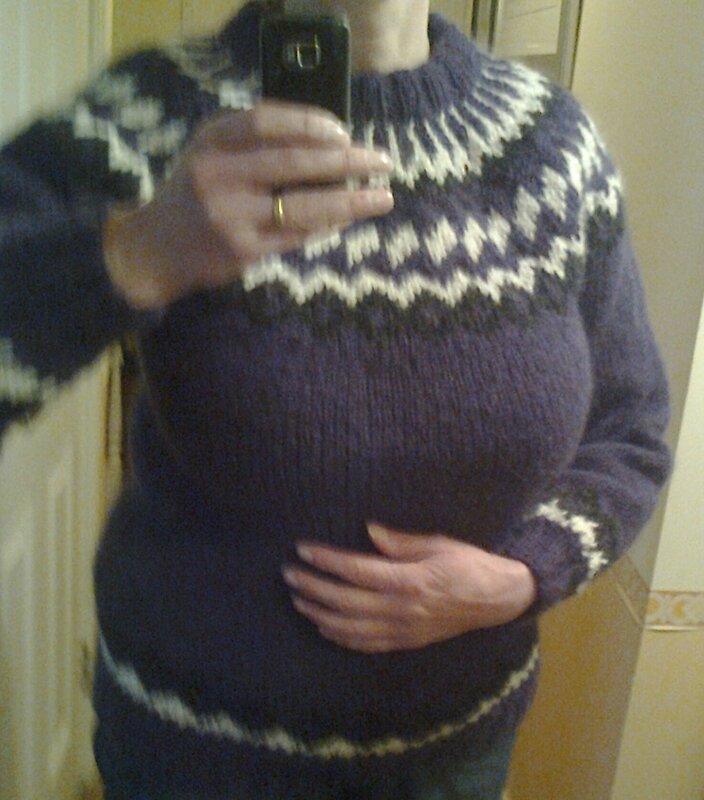 So just a quick entry for now – ‘cos I know folks will want to see the jumper as soon as poss. And I’ll write more in a few days. Blwyddyn Newydd Dda (that’s Happy New Year for non-Welsh speakers). The snow is thawing! 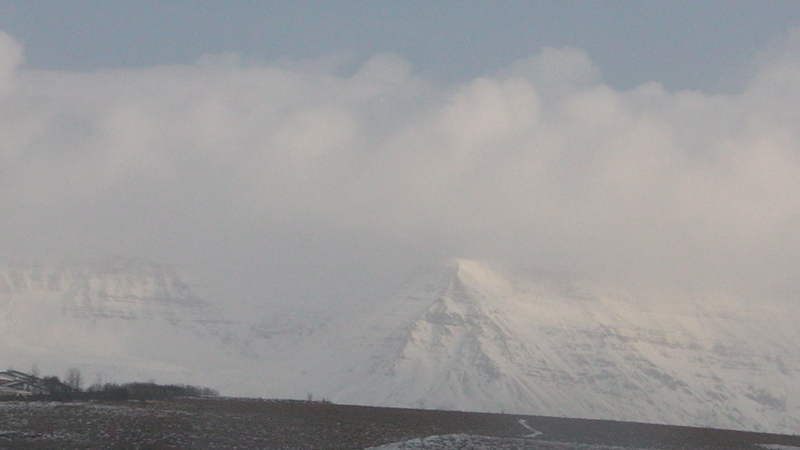 It came to visit for a few days – to give us a chance to see how beautiful Iceland is in its white coat. This morning, everywhere is black rock and brown vegetation, with only the occasional streak of white highlight to make the point. Still no aurora last night. This winter may be the highest sun-activity season for many years, but we seem to have picked a low patch. A shame, but we’ve still had a great time. One final breakfast of freshly-baked waffles with lashings of syrup (but no ginger beer), squeeze everything into the suitcase and heck the bag full of knitting wool isn’t likely to explode on the plane. (We brought this bag in the suitcase, just in case!) Leave the booze we didn’t finish for the hotel staff to enjoy. Pile everything into the car one last time and checkout. I chatted about knitting with the staff behind the Reception desk while Martin checked the tickets before our bill was printed out. An interesting difference- in the UK, Hotel bills are usually designed to be vague, listing just “meals” rather than details. Our bill in Iceland is detailed, clear – and accurate. There are no hidden charges – and we’ve already been informed that we are not expected to tip anyone here. Refreshing, really! 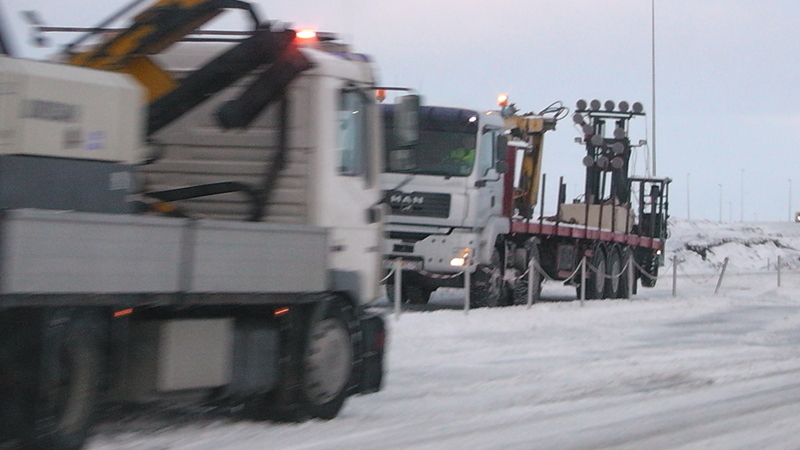 We drive out onto a black road, tarmac chewed up at the outside edge where snowploughs dug in to break up the ice. Our tyres are studded with metal – as is every vehicle here and it’s clear that the country has a policy of replacing roads as they become undriveable and expecting drivers to be prepared for freezing conditions. We haven’t seen any gritting or salting a road and less evidence of drivers having lost control than we would at home. Even the tourists seem to cope well with the conditions – given the right vehicles and rules. And most drivers in the UK don’t even have a set of winter tyres. We could learn a lot! Our flight isn’t until this afternoon, so we head into Reykjavik one last time and park in a different area – I think Martin’s afraid I’d buy more wool if he took me anywhere near the yarn shop. And we can’t cram any more into the luggage! Instead we check out a few tourist shops (decent quality tat, but still tat) and take photos of a Viking boat on a roof, a really cute fountain and an open square with excellent wheelchair access – which was obviously part of the original design, not just added later when someone complained. This is a civilised country! And so to the airport, back to normality. We check-in and find the travel company have booked seats for us at the rear of the plane this time. The staff do what they can, but can only bring us a few rows forward. So I’m forced to hobble most of the length of the plane to reach our seats. Then the plan is half an hour late taking off. Yup, this is reality. The pilot makes up for the delay, but doesn’t have a miraculous solution to the seating problem. It’s been a great break. Iceland is stunningly beautiful and we’d love to go back again to see more of this unique Island. Everybody who knows Iceland – however little – tells you to go to the Blue Lagoon. We don’t generally follow the tourist trail, but this sounded intriguing. 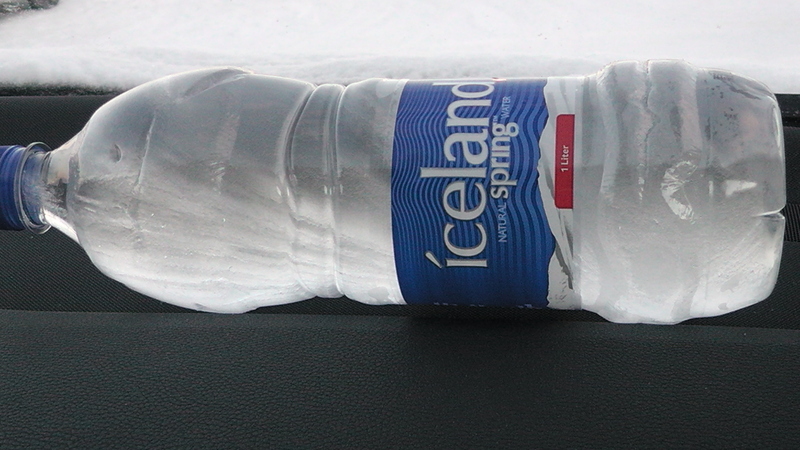 We’d also made the mistake of leaving a bottle of water in the car overnight – yes, it’s solid. We took the road along the South Coast of the island. Snowy desolation! Very picturesque! The path down to the Spa from the car park is narrow and treacherous. We managed to get my wheelchair down there, but if you’re none too mobile, phone ahead and ask for directions to an easier route. Picture a small, shallow lake. It’s entirely manmade, with huge rocks around the edge and little Oriental-style bridges spanning the occasional inlet of the water. The water itself is the most remarkable thing. It’s been brought up from the lava-depths, passed through turbines at a nearby power plant (Iceland has an unbelievable amount of geothermal energy), then passed through a heat exchanger (which uses the heat elsewhere, cooling this water) and the now-bearably warm water then feeds the Lagoon. So a gigantic bath, rising to shoulder height in places, filled with blood-temperature water and big enough to swim in. You can’t see anything under the water because it’s a white-blue colour due to dissolved mineral salts (including natural chlorine, so no more need be added). It steams in the cold air and smells slightly of hard-boiled eggs. I could learn to love this place! The water buoys you up better than fresh water, so it’s easy to float. Alternately, you could have a drink from the bar and stand at the side to drink it. Didn’t I mention there’s a bar in there? They sell a range of Alcoholic and soft drinks, which you charge against the electronic “locker key” on your wrist and pay when you leave. Trust me – a really cool system. For me, the wonder is in the contrast between blood-warm water (38 degrees) and air at -8 degrees. You don’t feel cold, although the lifeguards are wearing snow suits. Bizarre! 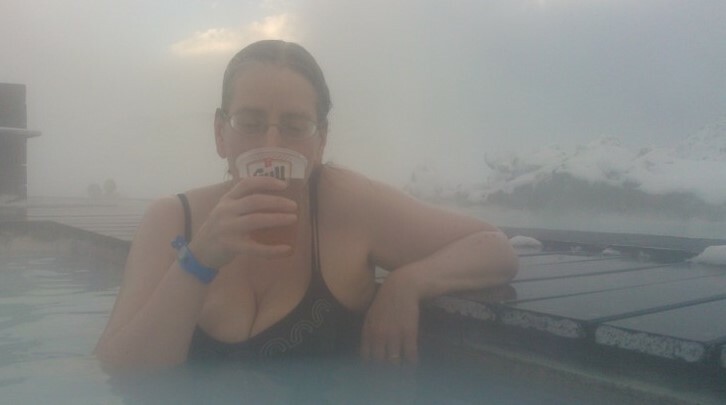 If anyone’s heading to Iceland, please believe the hype about the Blue Lagoon – it’s incredible. For maximum enjoyment, aim to spend an hour in the water, eat a meal and then another hour floating around. The café wasn’t too expensive and they made good coffee and sandwiches! Pick a day when it’s likely to snow lightly, if you can. We bought a framed rock in the Gift Shop. Trust me – it’s beautiful. 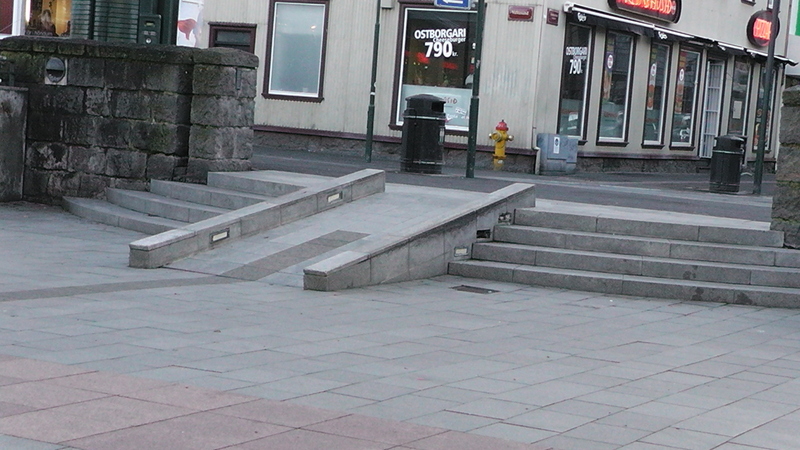 Then we took the more usual Reykjavik route back to the hotel and ordered a meal from Room Service. It takes a lot of showering to get all the mineral salts out of your hair – I couldn’t get mine clean until I soaked it all away in the bath back home! Double-checked that our room number was on the Aurora Watch list. This is our last night in Iceland and we don’t want to miss the display! Outside, the morning was bright and cold. SERIOUSLY cold. 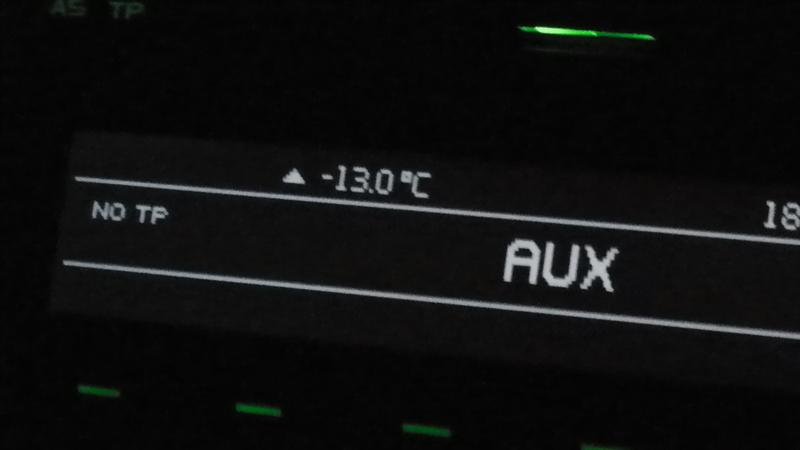 I didn’t even know that car thermometers went down to -13.5 degrees Celsius! Martin helped me out of the hotel and into the car, where I snuggled into the passenger seat with its heating elements on full while he scraped the frost off the car windows. I’ve realised I can dry and warm my gloves by sitting on them while the car seat warms both them and me – and found that a very good tactic for coping with these cold mornings. We drove to Selfoss and then took the Golden Circle route to Geysir, where we left the car to walk around the hot springs. There were signs everywhere warning that the water could be up to boiling point, so we didn’t go paddling! 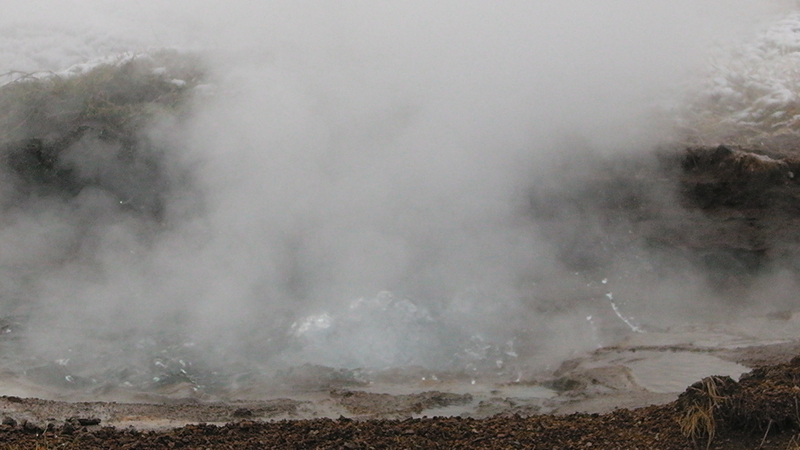 The Geysir itself is well past its best, (aren’t we all?) but smaller geysers performed very well. As did the various bubbling springs – both water and mud. We resisted the temptation to throw another tourist into one geyser when he insisted on walking in front of me in my wheelchair, despite Martin pointing out I was trying to film the eruption. It would have been so inconvenient for him to walk behind, you know. We stopped for a cuppa at the café adjoining the Geysir site. 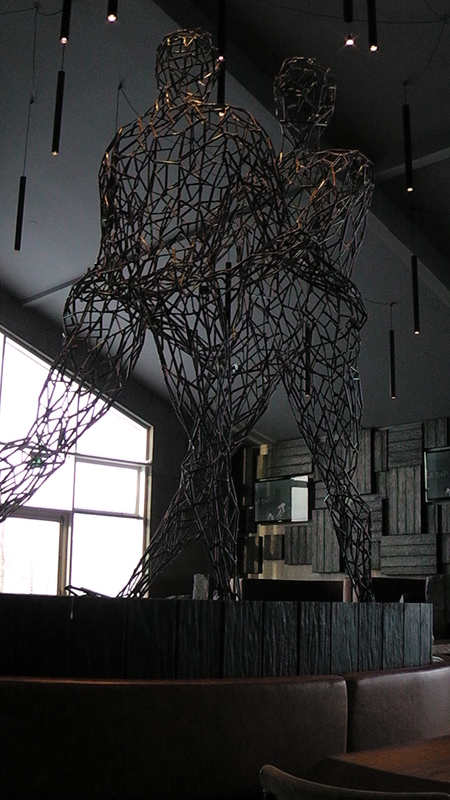 I was fascinated by the statue that occupied centre stage in the café and asked the waitress to explain. She told me the men depicted are competing at Glima, a form of wrestling which is the Icelandic national sport. Video of the genteel sport was showing on screens around the café, too. 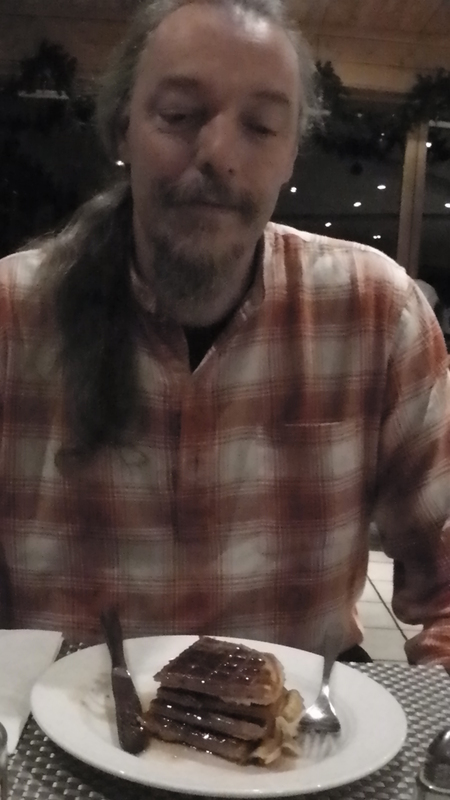 We toured on for a few hours, then back to the hotel in time for dinner – a birthday treat in the restaurant. We began with cocktails in the Bar – a Vodka Martini for Martin and a Choco-Martini for me. Then into the restaurant proper for our meal. I’m not going to quote the prices, but they were painful. The food was very good, but not that good! I understand it costs a certain amount to import anything they can’t grow or produce here, but that overhead would be in proportion to the size or weight of the imported item – not scaled according to its price. So if it adds £20 to the price we’d pay for a good bottle of wine in a similar UK restaurant, how come the overhead is more than £100 for a reasonable champagne? It may be a special birthday, but there are limits! We quaffed a very nice bottle of Cava. The Hotel’s owner came to chat while we were waiting for our main courses. He seemed to assume that we would eat in the restaurant every night we were staying there – nice thought, but unlikely! I started with Brenivin-marinaded Salmon, then beautiful Icelandic Lamb and finally a Melting Middle Chocolate pudding. And finally, an espresso each. We don’t get to eat like this very often, it’s good to push to proverbial boat out onto the ice! It’s been a busy day and a wonderful birthday. Finally, check our room number is marked on the Aurora Alert list and turn in. Life in Iceland is rumoured to be expensive. Truth is – it depends what you’re buying. So we breakfasted on waffles and syrup (I could get to like this place), and set off for Reykjavik, intent on spending money. 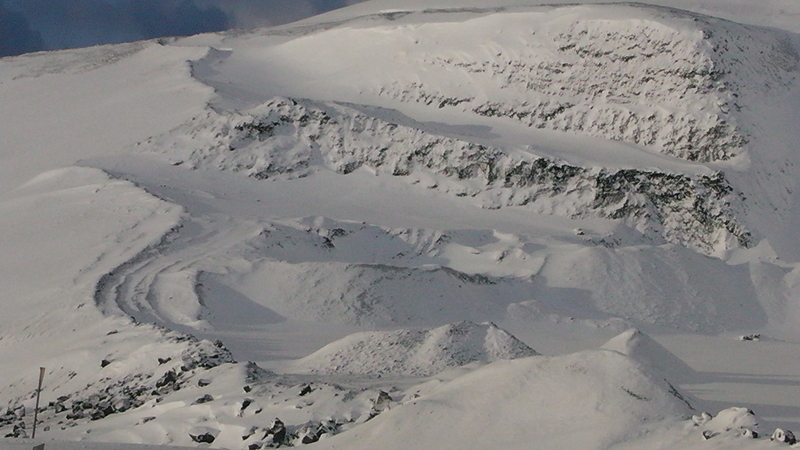 The landscape had been transformed overnight from the moon-lava landscape we’d driven though to gentle white hummocks piled like newly-washed bedding in a very cold airing cupboard. Barren austerity to pristine fluffiness in one night’s snow. And that’s quite enough purple prose. We parked easily – for a capital city, Reykjavik seems to have lots of space for cars and we found a space just off one of the crossroads in the centre. Choosing a direction we walked up towards a piece of architecture that’s divided opinion throughout Iceland. It’s a concrete church called Halgrimskirkja. Piccie below. Decide for yourself, but we both loved it. 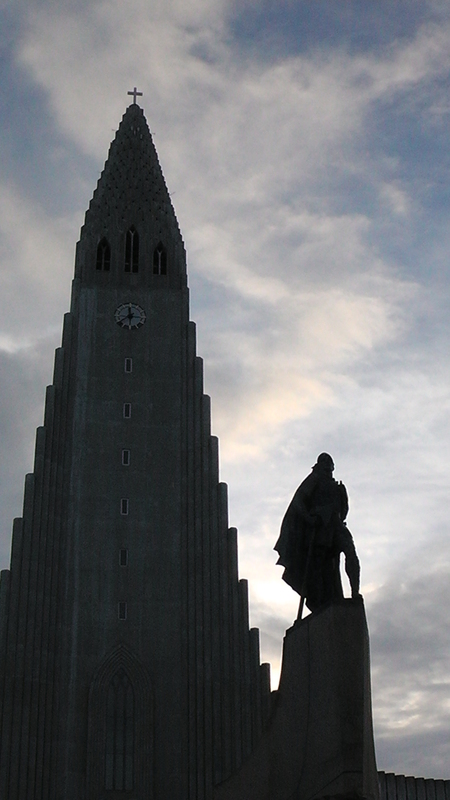 The statue is Leif Eriksson, the Viking explorer. town or city on the planet. Someday he’ll be proved wrong. So he carried the wheelchair down the stairs while I scrambled after in an unladylike manner. The staff were completely unphazed by my rather undignified entrance and keen to help, proud of their stock of local yarns and English-language Icelandic patterns. Oh, the wool! Great range of colours and weights – and a fraction of the price I’d pay at home. Apologies to anyone who doesn’t share this obsession. But this is my artist’s palette. Not to mention that I was spending time with members of the International Sisterhood again. They admired Martin’s jumper and we talked knitting and the benefits of Icelandic wool. 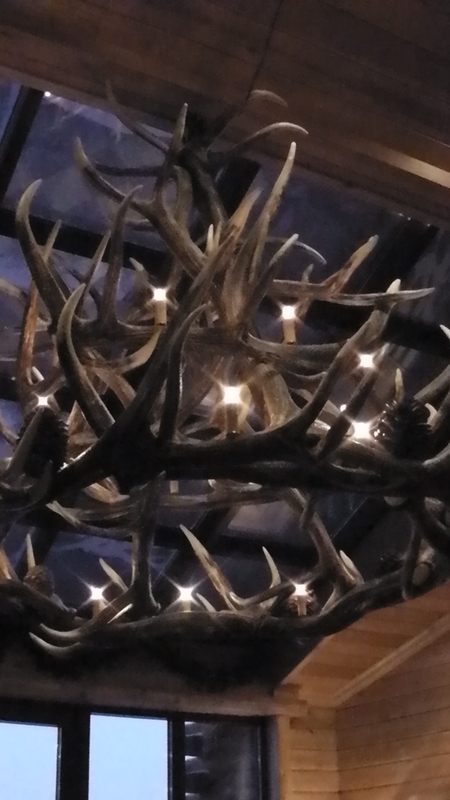 Looking for a loo, we fell into a brasserie and stayed for a lunch of reindeer pate and smoked trout. (Not on the same plate!) And Skyr – an Icelandic delicacy that tastes like the illegitimate child of yoghurt and curd cheese. Served with blueberries. Back to the hotel with our souvenirs of Reykjavik – and the wool. The nights begin early up here. 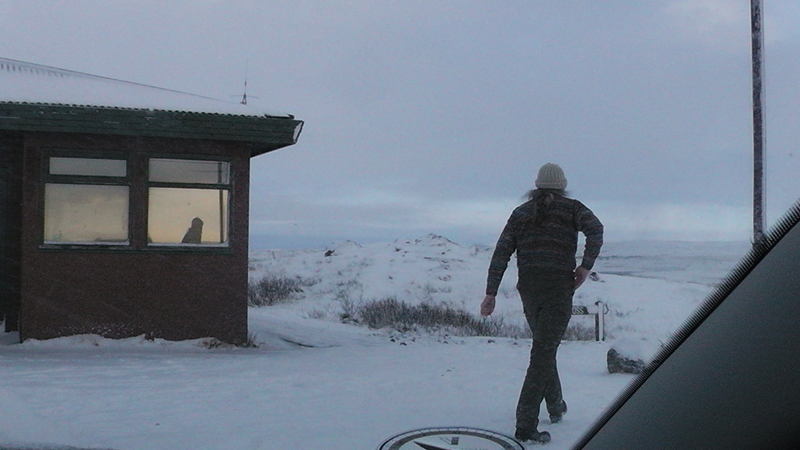 We checked our room number on for aurora alerts, but had another undisturbed night. 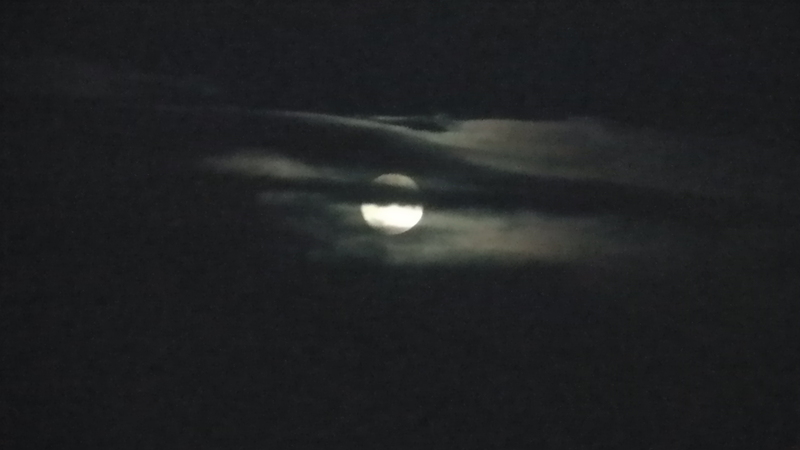 Still no Northern Lights. Airlines don’t make it easy for travellers who use wheelchairs. This was the first time I’d flown in years and I admit to some trepidation. For once, the journey was uneventful – in a good way. I packed my knitting into our case – always traumatic for me to be separated from my needles, but the airlines won’t allow me to carry such dangerous weapons in my hand baggage. We checked the case in and went through passport control. “Do you need your jumper?” in a Spanish-sounding accent. I must have looked puzzled so she tried again. “Neet your jumper?” whilst making the international sign for handknitting. Now I got it. She grinned back at me. The International Sisterhood of Knitters gets everywhere. I could not hold a conversation with this lady, but we knew we were Sisters under the skin. Or jumpers, at least! We bought a couple of small bottles of spirits in Duty Free, knowing that alcohol was not available as readily and was reputed to be expensive in Iceland. We also bought some sharing bags of chocolates because, well, why not? I’d been reserved seats near the front of the plane, not too far to hobble on crutches, and enjoyed the three-hour flight. 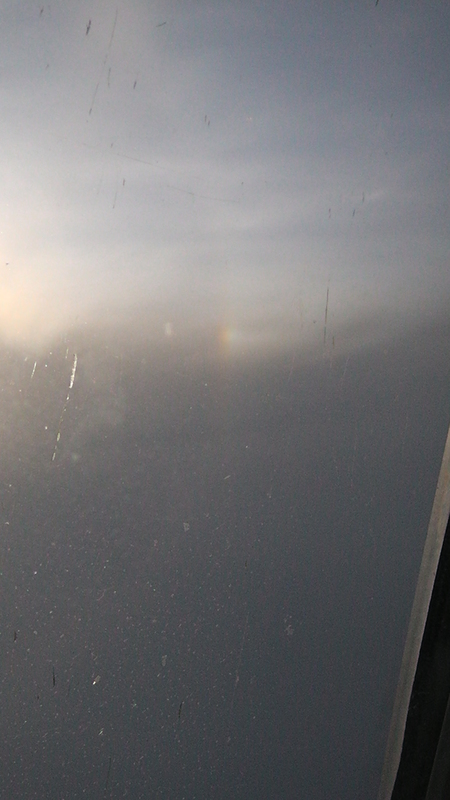 We saw a nice rainbow ring around the sun – the photo doesn’t do it justice, I’m afraid. And I took the obligatory photos from the plane as we came in over the island. 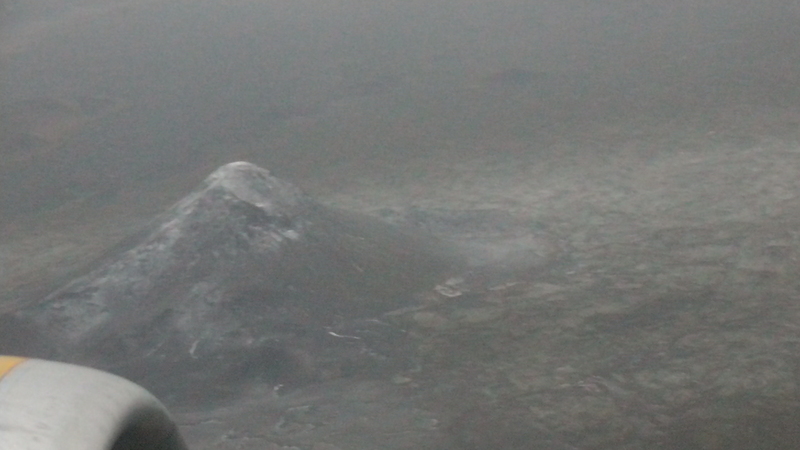 I don’t know the name of this peak, but I christened it “The Lonely Mountain” for obvious reasons. Tolkien would have approved! Disembarking was painless, with my wheelchair waiting for me and the airport staff very helpful in getting me through their system. It took Martin some time to sort out the paperwork for our hire car, but the registration number was a prime, which we took to be a good sign. We loaded up and were on our way to the hotel. 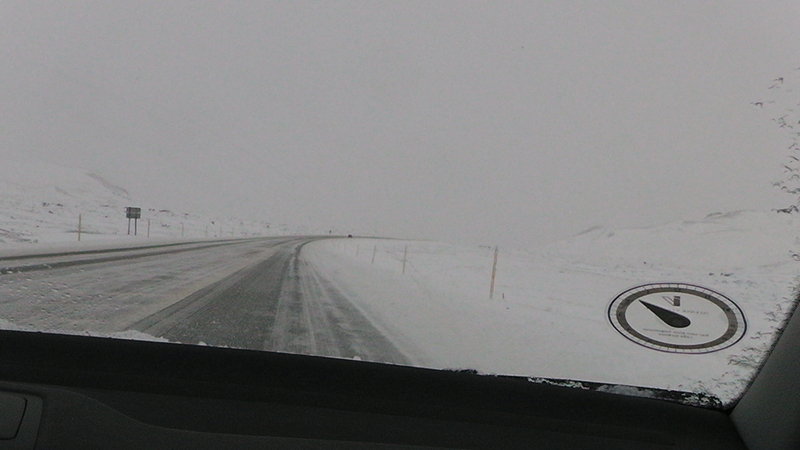 We were staying a couple of hours from Reykjavik, in fact a long way from anywhere. 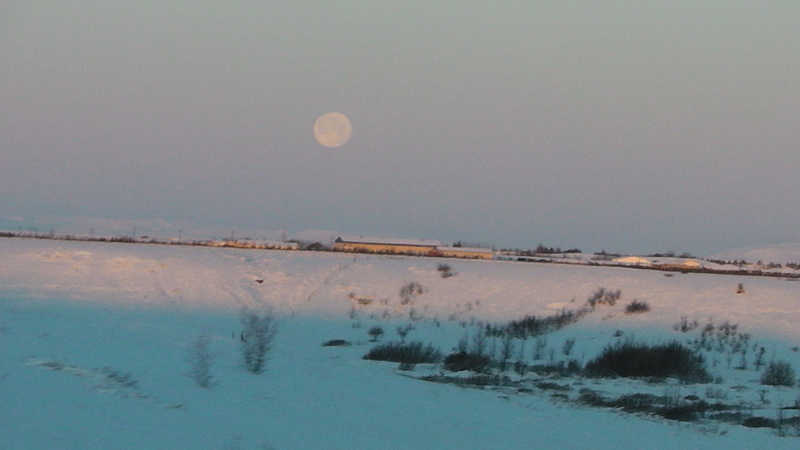 The hotel is situated where there’s no chance of light pollution to spoil any view of the fabled Aurora Borealis. They also offer a wake-up service in case of any display and we checked our room number on their list. This room number was another prime and we had a good view of the sky to the North, which would be the most likely viewing angle for any auroral display. Quick meal from Room Service and an early night. Tomorrow, the adventure begins!